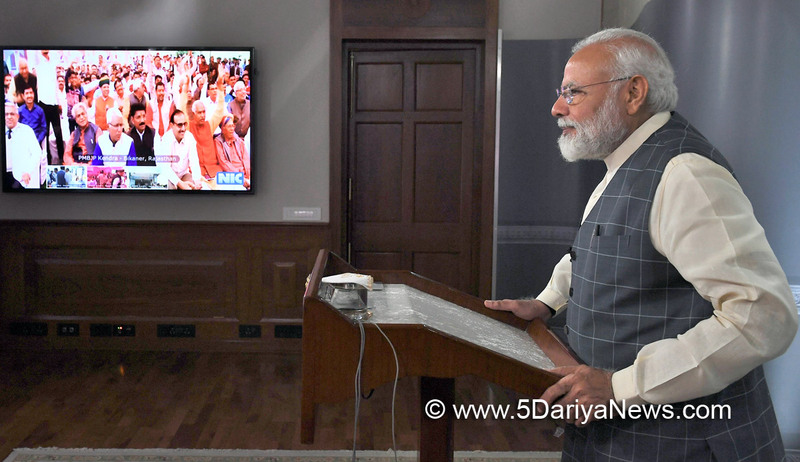 The Prime Minister, Shri Narendra Modi, today, interacted with the beneficiariesof Pradhan Mantri Bhartiya Janaushadhi Pariyojana and store owners of Jan Aushadi Kendras, through video conference. The Union Government had decided to celebrate 7th March 2019 as ‘Jan Aushadhi Diwas’ across India, for creating awareness and providing impetus onthe use of generic medicines.Interacting with beneficiaries and store owners from over 5000 locations, the Prime Minister said that in order to ensure the availability of high quality medicines at lower prices, Government had taken two major steps. First, the cost of 850 essential medicines were regulated and the prices of heart stent and equipment for knee surgery were reduced. Second, a series of Jan Aushadi Kendras were started throughout the country. These steps have greatly benefitted not only the poor, but also the middle class, PM said.The Prime Minister said that medicines are available at fifty to ninety percent lower price than the market rates at Jan Aushadi Kendras. He added that more than five thousand Jan Aushadi Kendras have been opened in the past four and half years. The Kendras provide not only good quality medicines but also provide self-employment and create new employment opportunities, PM said.Speaking about the vision of holistic transformation of health sector, Prime Minister said that the approach of the Government is ‘No Silos- Only Solutions’. All the stake holders related to health sector are working together to transform the sector, PM said. He said that in the past four and half years, 15 new AIIMs have been either built or are being built and 31,000 MBBS and post-graduation seats in medical sector have been increased.Interacting with the Prime Minister, the beneficiaries expressed happiness with the good quality of medicines available at Jan Aushadi Kendras. The beneficiaries mentioned that the low cost of the medicines have enabled them to save money while getting proper medication.